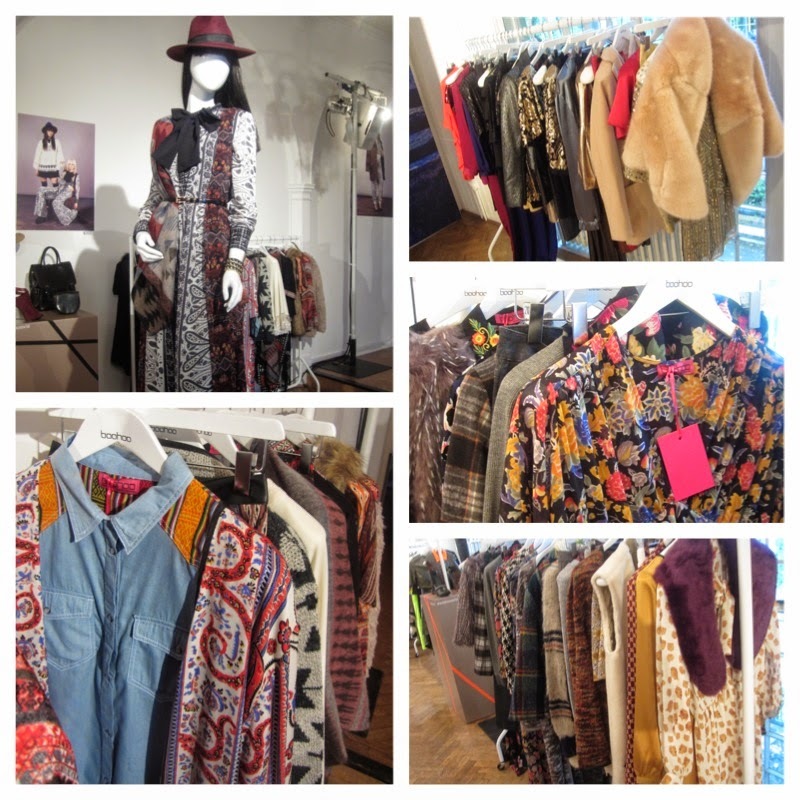 On Thursday 8th May I attended Boohoo.com AW14 Press day at the lush One Marylebone venue. Greeted by a hot pink double decker bus which was parked out in front of the prestigious venue. Admittedly I've never brought anything from the Boo Hoo brand previously; as my first initial perception of the brand is low cost fabrics used equating to poor quality clothing, however when I attended the press day I was pleasantly surprised that my once concern swayed into a greater appreciation for the brand. The brand has come a long way from it's origins with forward fashionable looks, high quality and most of all; at an ideal reasonable price point. The online retailer AW14 collection for the upcoming season; boasts glossy metallics with a Great Gatsby feel - think flapper dresses with high shine along with loads of different textures, bohemian vibes giving 70s chic with a folkestone twist and vintage inspired looks. 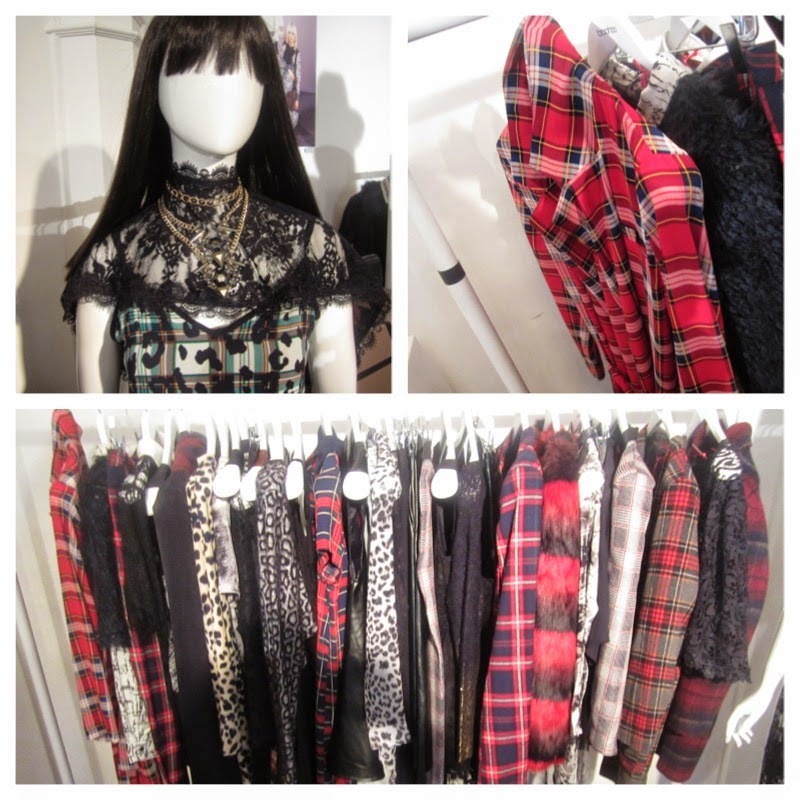 Tartan prints & leopard print was on full effect, bringing a grunge gothic type of look which is wearable. The locker room trend look gave every reason why sports luxe is going nowhere next season with quilted textures, bomber jackets,neoprene cut out tops, piping track pants. 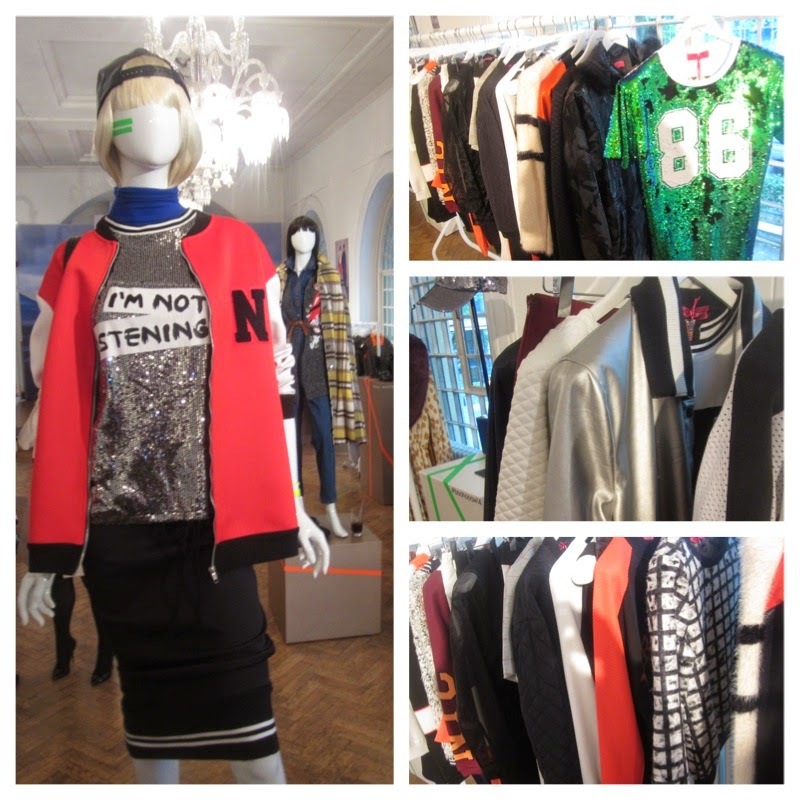 Sequins and plenty of it adorned on varsity dresses and logo tops. I adored the Brooklyn Princess look which had a muted cosmetic palette of baby pink, blue and grey hues again with loads of textures coming from the shaggy fluffy gilets over jackets and coats to modest glam pieces with playful sequins. I favoured the pieces from the In the city trend with relaxed tailored pieces . Here I spotted high waisted Pink Trousers, cut out blue laced up sandals, sleeveless lapel dress (ultimate fav), over sized mannish jackets in plaid, white and pinstripes. This rail stood out for me as I loved the colour ways of pink, cobalt blue, navy and monochrome which was streaming through the collection. Fancy anything from the AW14 collection? Have you shopped at Boo Hoo? Can I ask how these brands got in contact with you? Hi Sade, Thanks for your comment. Sorry to hear that you reckon the styles differ slightly, I just looked on the site and its kind of similar the pieces but then it depends what your after!